This 18x24" print, featuring the starship U.S.S. 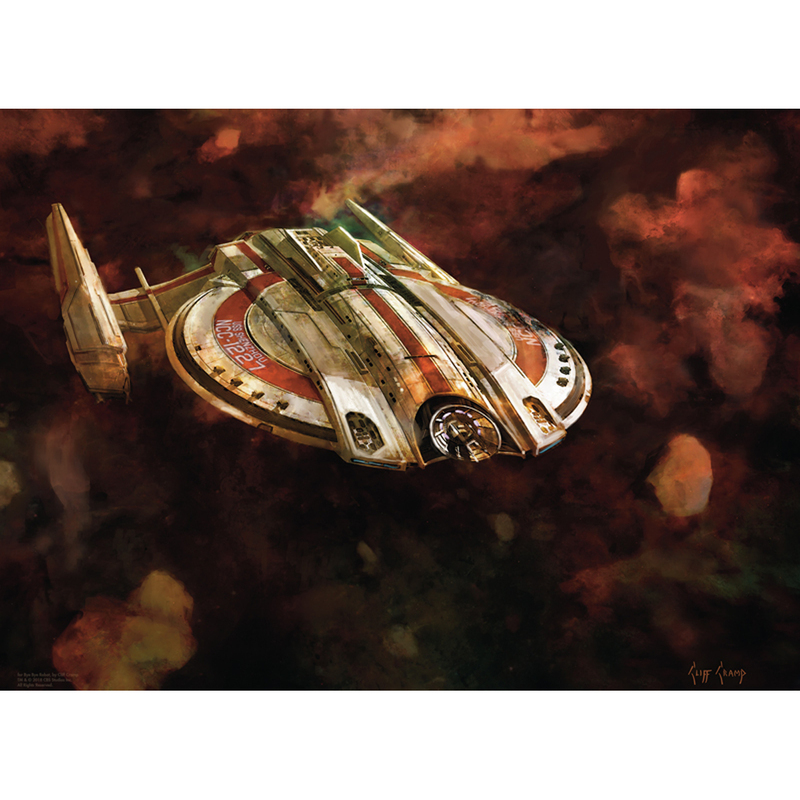 Shenzhou, painted in bold rich colors of copper and sienna, is printed on acid-free cardstock and depicts the excitement of Star Trek: Discovery. This beautiful design is a very low number LIMITED EDITION of only 40 prints made and will never be printed again, once these are sold out. By artist Cliff Cramp from Bye Bye Robot.